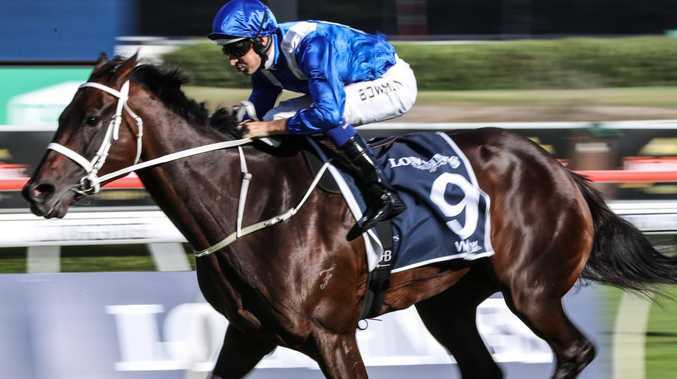 SUPER mare Winx has finally been given the accolade as the world's best racehorse after an updated Longines World Best Racehorse Rankings were released on Thursday night. Winx's rating rose from 129 to 130, which places her a point in front of the retired American dirt specialist Gun Runner. Prior to that she also shared top spot with another American galloper who ran on the dirt, Arrogate. The Chris Waller-trained Winx has been rated the best turf galloper for the past two years. Her rating went up a point after her win in the Queen Elizabeth Stakes by almost four lengths. 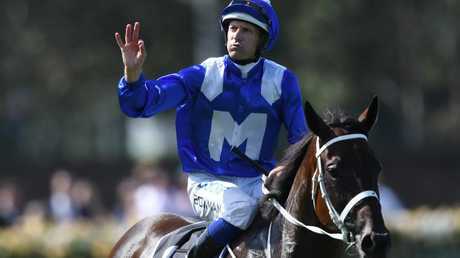 Hugh Bowman with Winx after winning the George Ryder Stakes. 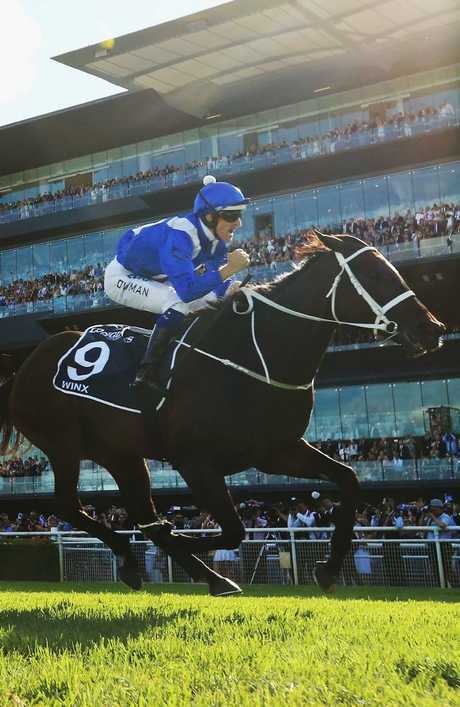 Winx's connections recently decided not to campaign her at Royal Ascot, instead focusing on an historic fourth consecutive Cox Plate as her main mission. The superstar mare has won her past 25 starts and almost $19 million in prizemoney. She has won 18 Group 1 races. The super mare in full flight. Doncaster Mile winner Happy Clapper and three-year-old Trapeze Artist, winner of the TJ Smith and All Aged Stakes, are rated equal sixth on 123.